Modify the existing Opal Springs Hydroelectric project. 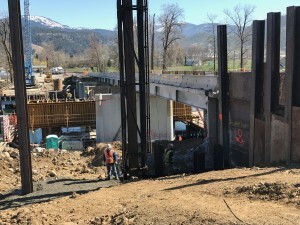 Construct new vertical slot fish ladder, modify the existing diversion crest to increase the pool impoundment elevation, install horizontal drains, pre-stressed ground anchors (to support fish ladder construction), mass excavation and install a temporary shoring wall along the river abutment. 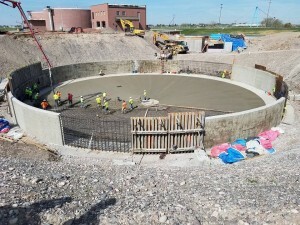 Install open standpipe piezometer, pneumatic crest gate and control building, compressors, piping, fiber optics, electrical, and tie in to the existing project control system, construct a spillway chute, and modify the existing powerhouse intake and left abutment. 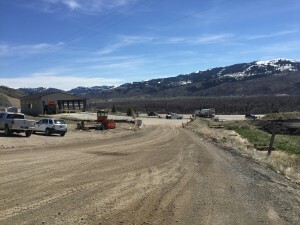 Reconstruct the Transfer Station, generally consisting of over 10,000CY of mass excavation, structural fill, and 4,500CY of structural concrete using site batched ready-mix concrete, install 18,000SF metal building, metal bypass canopy and roll up doors, truck weigh scales, site piping, mechanical, electrical, fire protection, landscaping, paving and site work. Upgrade an industrial wastewater treatment plant including new 70’ primary clarifier, 140’ secondary clarifier with associated RAS/WAS building and lift station for sludge processing. Rehabilitate bridge substructure and superstructure. Paint/coat both the substructure towers extending below the and waterline and the superstructure girders. Install 2,900 cathodic protection anodes to prevent structural erosion below water. Replace 15 girder pins and hangers, and 5 abutment bearing assemblies on the east end of the west bound lanes. Demolish the bridge deck, replace expansion joints and place new overlay. Construct new splitter box, headworks building and influent screening channel including piping and hydraulic systems, odor control system and blowers, HVAC, electrical, instrumentation, and site improvements. Install Owner-furnished Carbon Odor Control System Perforated Plate Screen and Washer Compactor. Construct a tertiary gravity filter (i.e. 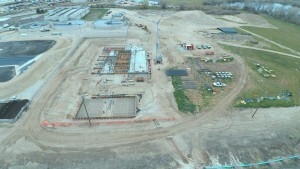 Filter Building), Secondary Effluent Pump Station, Utility Water/Backwash Pump Station, and associated improvements at the Caldwell Wastewater Treatment Plant. 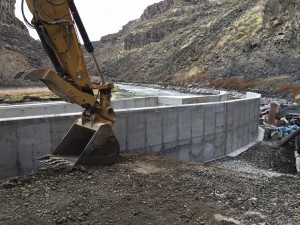 Construct a pile and lag wall system, concrete fish ladder with transport channel, viewing vault, auxiliary water system (AWS) and install equipment . 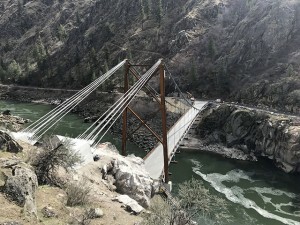 Replace existing bridges with new structures to meet current loading criteria, geometric standards, as well as pedestrian and ADA requirements. 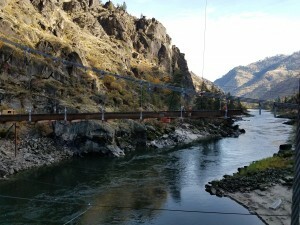 Work includes roadway reconstruction and shoulder widening at the north and south ends of the bridges, along with driveway and approach work, to provide proper tie-in and modifications to the Railroad Ave ramp. 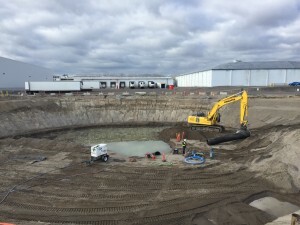 Construct new primary sludge and scum submersible pumping stations, 115-foot primary clarifier with rake arm, covered primary sludge gravity thickener with odor control, thickened sludge pumping station, influent flow diversion and CIP rock trap structures. 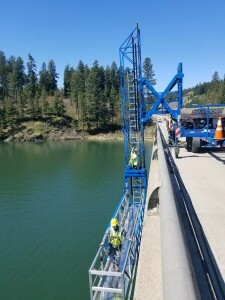 Upgrade 115-foot primary clarifier including new influent line, rake arm mechanism and walkway. Expand and modify electrical, instrumentation and controls. Install primary sludge de-gritting equipment, yard piping, earthwork and site improvements. Demolish primary sludge pumping station and grit removal facility.